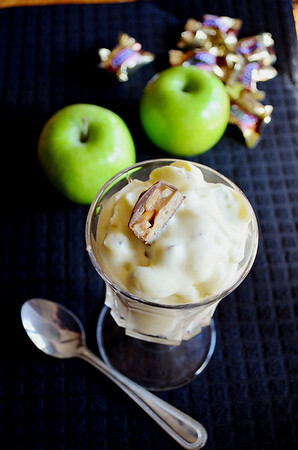 This Candy Apple Pudding is a dessert that would be great at Thanksgiving. It uses leftover Snickers and Butterfingers, folded into a creamy mix of French vanilla pudding, whipped topping, mini marshmallows and Granny Smith apples. It’s incredible.